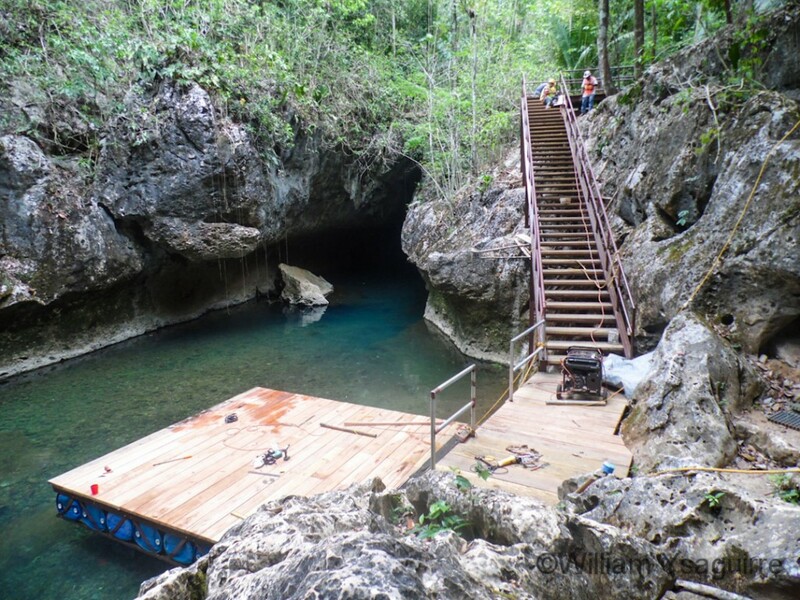 Three more archaeological sites: Caves Branch, Barton Creek and the Atun Tunichil Muknal (ATM) cave in Belize have received infrastructural improvements and upgrades under a $4 Million project funded by the European Union – “Making Tourism benefit Communities Adjacent to Archaeological Sites” (MTBCAAS). The EU’s Ambassador to Belize, H.E. Paola Amadei, admitted even she found the project’s name a bit of a mouthful, and the acronym equally cryptic, but she was happy to join the acting chief Executive officer of the Ministry of Tourism, Culture and Civil Aviation, Mr. Abil Castaneda in cutting the ribbon to officially inaugurate all three site upgrades. The ceremony was held on Wednesday, July 29, at the most popular site – Caves Branch which offers cruise ship visitors: cave tubing and zip-lining under the forest canopy. Caves Branch is one of Belize’s most popular archaeological sites, attracting over 178,000 visitors last year. Ambassador Amadei said she and her family have enjoyed Belize’s many cultural and natural attractions very much, and she wished to see the profits of the tourism industry benefit the neighboring communities, the villagers living near these archaeological sites, that they enjoy the fruits of their patrimony. In this same thrust, she said she would work to support the Toledo Chocolate Festival and to help Toledo cacao growers gain geographic site identification for Belizean chocolate. Mayan gold chocolate already enjoys premium prices in niche markets in Europe, but she said geographic site identification of this product as being unique to Belize, would spark additional profits from visitors coming to see where the raw cacao for this special product is grown, and how it is manufactured. She drew a comparison to Jamaica’s blue mountain coffee one of the oldest site identified products dating back over 300 years – Port wine. She noted there is a potential for a ten-fold increase in price and a collateral spin-off products, if geographical site identification can be achieved. For Gallon Jug coffee – Rio Bravo geographical site identification. 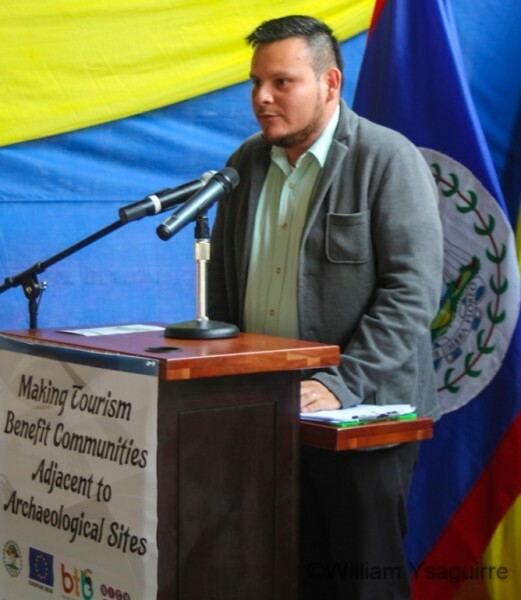 Belize Tourism Board’s Director of Special Projects Kevin Gonzalez also thanked Ambassador Amadei for her support in achieving these upgrades such as stairways to make climbing gradients safe for visitors. The sites also received signs indicating correct footpaths, better forest trails, signs to identify useful species of plants growing in the parks, restrooms, elevated water tanks, and highway signs to help visitors find some lesser known sites such as the ATM Cave. Safety is a key factor in cave-tubing; as even one accident can be detrimental to the entire sector; so the project also provided for some 42 tour guides, park managers and rangers to receive training in cave rescue under swift water conditions. CEO Abil Castaneda affirmed that the thrust of the project was to enhance the visitor experience, while helping the people working in the industry to achieve a standard of professionalism that would translate into economic rewards for all. 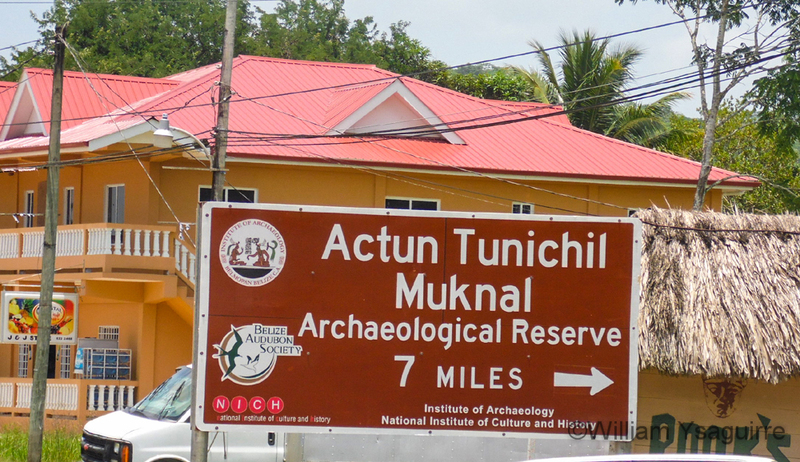 The $4 Million project was jointly funded by the EU to the tune of $2.75 Million with the BTB and the National Institute for Culture and History (NICH) contributing $1.25 Million. 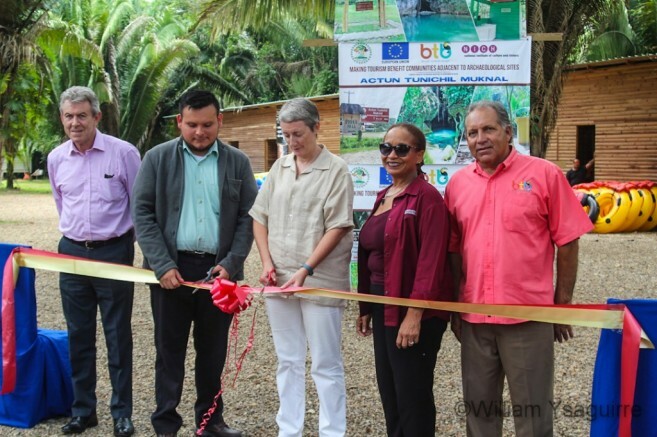 The project is scheduled for completion this month, with a final inauguration of other infrastructural upgrades at the Lamanai site in the Orange Walk district on Friday, July 31.